ALD 2016 Conference Co-Chair Simon Elliott and ALE Chair Bert Ellingboe, along with Happening Conferences and Events, met on Thursday 28 April at the CCD in Dublin to finalise plans for the conference. It is going to be an exciting 4 days in July and we can’t wait to welcome everyone to Dublin! 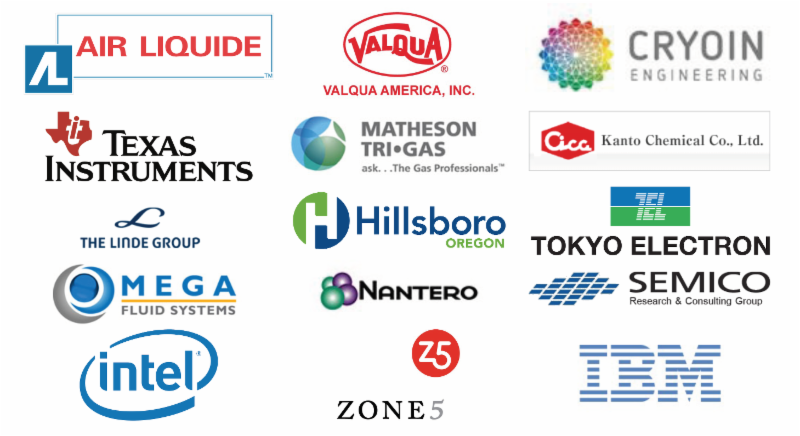 A highly differentiated program, with networking opportunities for all attendees. For full agenda details click here. Picosun reports today : Picosun Oy, the leading equipment and solutions provider for high end ALD (Atomic Layer Deposition) thin film coating technology, continues breaking sales records with its PICOPLATFORM™ production cluster tools. Increasing sales of high volume PICOPLATFORM™ clusters to key industrial customers boosted the company’s 12-month rolling sales to 57 % growth, further accelerating the strong growth seen in 2015. Both batch and single wafer cluster tools are being installed in the leading semiconductor companies in the USA and Asia. The main factors behind the continuous success of the PICOPLATFORM™ technology are low cost of ownership due to fast processing with multiple batch or single wafer ALD reactors in the same cluster tool, and easy maintenance with several support agreement options. Fully automated, SEMI S2 certified hardware solutions offer the leading process quality with record-low particle levels and excellent yield for up to 300 mm wafer size. The flexible, modular configuration of the cluster tools enables optimized production solutions tailored for every customer’s individual needs. The strong sales promote substantial investments towards even stronger growth for Picosun. Best-in-class contract coating facilities, advanced service product portfolio, and expanding premises and worldwide locations affirm Picosun’s position as the ALD solutions provider of choice for the global microelectronics industries. “We are proud of the success of our PICOPLATFORM™ technology. Fast, fully automatic batch processing ensures continuously new design wins with economical production and excellent end product quality. Customer satisfaction is everything to us. We are happy to witness how our dedication to ALD and our decades of ALD expertise now enable manufacturing in the most advanced semiconductor technology nodes,” states Mr. Juhana Kostamo, Managing Director of Picosun. According to Gartner the Worldwide semiconductor wafer-level manufacturing equipment revenue totaled $33.6 billion in 2015, a 1 percent decline from 2014. The top 10 vendors accounted for 77 percent of the market, which is a slight down as compared with 2014(%). 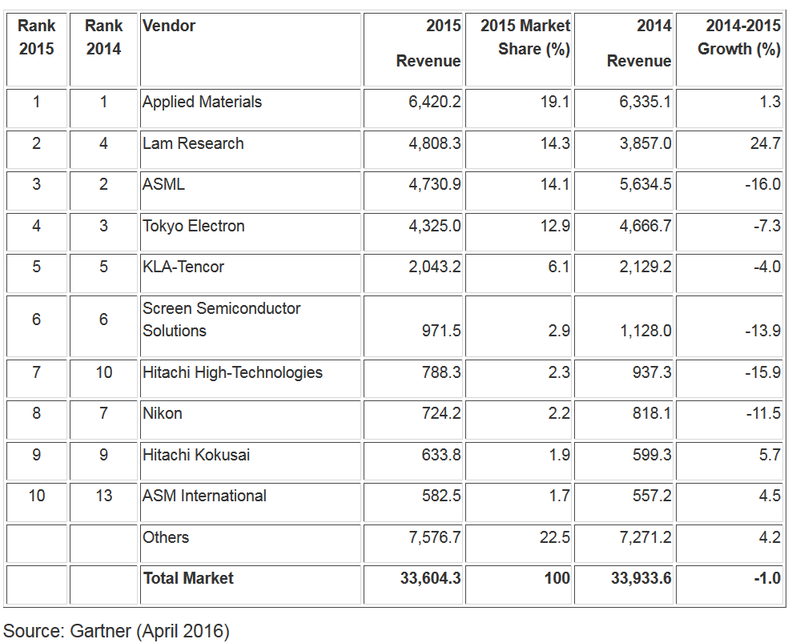 "Lam Research experienced the strongest growth of the top 10 vendors in 2015, moving into the No. 2 position. The move of the industry to 3D device manufacturing pushed the company to 24.7 percent growth. Lam continues to be the dominant conductor etch manufacturer, but competition in the etch and deposition segment is expected to be fierce moving forward." reports Wall Street Insider (here). 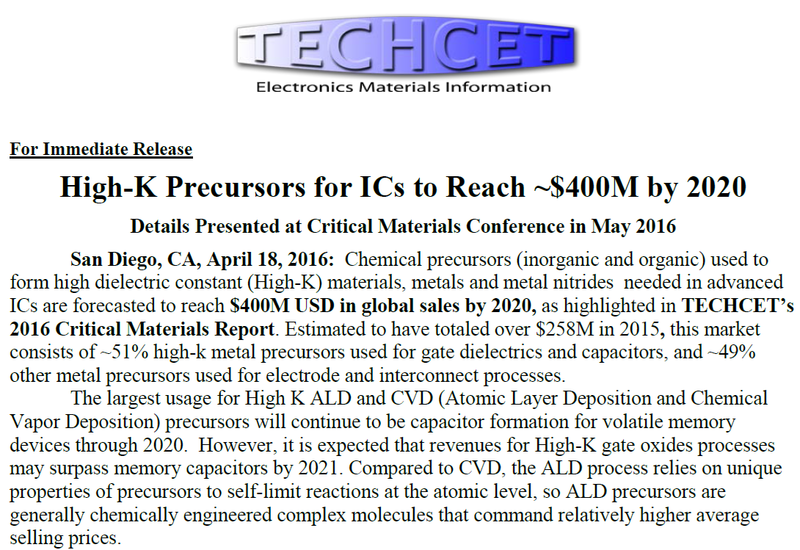 I am no mathematician but Lam Research + KLA-Tencor will be Number 1 if the merger is completed. Top 10 Companies' Revenue From Shipments of Total Wafer-Level Manufacturing Equipment, Worldwide (Millions of U.S. Dollars). As published by Wall Street Insider (here). A batch of coins that is loaded into a Picosun ALD reactor by an industrial robot. A youtube video showing the loading procedure for batch processing of coins. ASMi reports that Gartner and VLSI have recently estimated that the ALD market grew in excess of 20% in 2015. 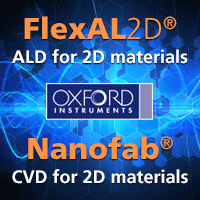 That makes ALD among the fastest-growing market segments within the wafer equipment market. ASMi is bthe leader in terms of the broad number of applications and market share in ALD. However, as reported earlier ASM sees a risk for a market share loss in the booming ALD market from strong competition. This is understandable since the ALD market is projected to double in the next 3-4 years for single and multi wafer tools while Large Batch Furnace ALD will grow at a lower pace. However, for the 2016 calendar year ASMi expect a market share in ALD higher than in 2015. Also good to have a look at is the Investor presentation for 1Q 2016 available here. The ALD business continued to be the key revenue driver. By customer segment, revenue in the quarter was led by memory, still building on the strengths in 2015, followed by logic and foundry. In summary, the prospects for ALD market in the coming years continue to be strong. And as a market leader, we believe we are well-positioned to benefit. 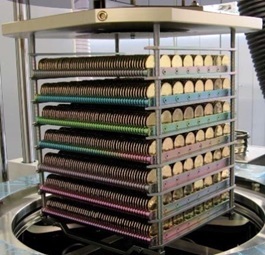 the biggest driver for single wafer ALD in 2016 could very well be logic/foundry. And if that really becomes true then likely our market share will increase in 2016.
the High-k Metal Gate applications, customers require more precise and formal deposition for several critical steps, such as for certain spacers and liners to build these advanced and complex infrastructures. In addition, the shrink to 10-nanometer also drives demand for multiple patterning, with more of the critical patterning steps 10-nanometer requiring spacer-defined multiple patterning based on single wafer ALD. In total, the number of ALD layers were 10-nanometer, for which we have been selected has increased substantially compared to the previous technology node. As customers have started to make the first investments in the volume ramp of 10-nanometer, our confidence has strengthened that with the continued solid and leading market share, we are well-positioned for a significant increase in a share of wallet with key customers in the logic, foundry segment. In the memory market, we already have a strong track record in multiple patterning, where our ALD equipment has supported key customers in the ramp of several technology generations. Multiple patterning continues to be a key enabler for customers in the DRAM sector. At the next technology node, the 1x node, the number of layers that require ALD-based multiple patterning will further increase. In NAND flash, customer investments are increasingly geared towards 3D NAND. As we explained in previous calls, ALD-based patterning requirements are substantially less in 3D NAND compared to Planar NAND. At the same time, we are strongly focused on long patterning applications in 3D NAND and we expected these applications will increasingly contribute to our revenue in the second-half of 2016 and going into 2017. EUV could best case hit the market at 7, but if it hits the market, we – the overall expectation from everybody is that the impact will be limited, if at all, at 7-nanometer, and that – a stronger influence could happen at 5-nanometer. 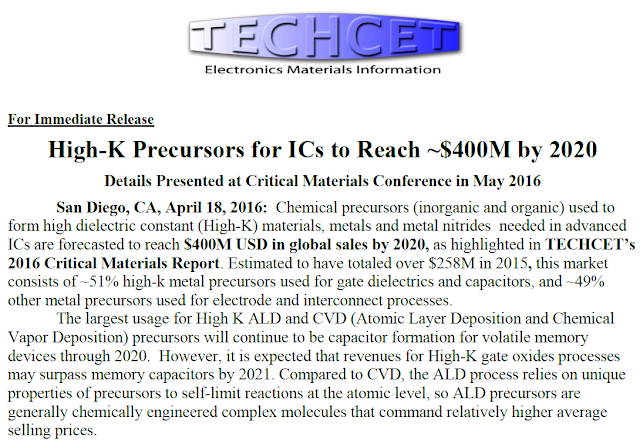 The Techcet ALD/CVD High K & Metal Precursors report provides information on the applications and markets associated with front end and back end of line precursors used to produce high dielectric constant (K) dielectrics and atomic layer deposition metal oxides and nitrides. Each report order includes an advisory service. Click to learn more. Here are the interesting parts on Atomic Layer Etching (ALE) & Atomic Layer Deposition (ALD) from the Lam Research quarterly conference call. The call was with Martin Brian Anstice, President and Chief Executive Officer and Doug Bettinger, Executive Vice President and Chief Financial Officer. Lam see that they will grow over the next several years by partnering closely with customers to enable key technology inflections such as 3D device architecture and multi-patterning process flows. These are two areas which can only be realized by Atomic Layer Processing like ALD & ALE. After spending many years with hybrid ALD/CVD processes (as Novelus) Lam is now obviously heading strong in the direction of pure ALD and also one of the main driving companies for ALE. "First generation 3D NAND production involves etching through 30 or more stacked pairs of films, for these are growing to 60 or more pairs for next-generation devices, resulting in increased challenges for critical high aspect ratio dielectric etch and also staircase conductor etch. Our Flex F and G Series dielectric products featuring proprietary ion energy control and high selectivity have tripled their installed base in the last year and established Lam as the market leader in dielectric etch segments." "Our Kiyo conductor etch platform with industry-leading etch selectivity has enabled more than a two times improvements in the number of layers that can be etched in situ for staircase applications with the results that a majority of 3D NAND customers have now included LAM in their staircase etch HVM purchases." "Our VECTOR ALD platform offers differentiated processing capability, allowing expansion of our SAM [SAM = served available market] for multi-patterning to now include 3D NAND gapfill applications also.Turning to FinFET and multi-patterning, during the quarter, we continued to build on the momentum of ourdifferentiated Kiyo with Hydra conductor etch and Flex dielectric etch platforms for critical front-end-of-line FinFET transistor solutions for 10-nanometer and 7-nanometer technology nodes." "As we communicated at the recent SPIE Lithography Conference, atomic level processing to control variability is increasingly critical for multiple patterning and that need will persist in an EUV-enabled environments. Our customers at the conference continues to affirm their strategy of leveraging improvements in both EUV and multi-patterning to address their needs and together with our peer group. We have conviction, the deposition and etch multi-patterning applications will grow for many years to come." Later in the Q&A section Martin Brian Anstice got some interesting questions with respect to ALE & ALD. Here he explained the with respect to ALE "...as the technology roadmap of the customers gets more challenging, the bigger the proportion of etch-related differentiation will be occupied by atomic level control", i.e., ALE. On the topic of ALD he was much more reluctant to answer specific questions due to the tough competition in ALD, but he stated that "the atomic level deposition product roadmap for us has an opportunity to be disruptive more holistically and creates growth potentials for Lam Research above and beyond what might be available for a generic deposition kind of baseline." Here you can speculate that he is referring to ALD for High-k/Metal Gate stackst or maybe High-k based Memory stacks, which are technologies Lam has not entered in the past. He ended by saying "So, we are behaving with stealth for reasons that are really important to us in terms of competitive advantage." So it will most probably come some interesting ALD technology from Lam in the future - obviously one wonder if it will be a Spatial ALD Technology like Applied Materials and Veeco. Some days ago Beneq shared news about the next solution of their spatial ALD equipment family: A new rotary spatial reactor that they are developing based on technology licensed from Lotus Applied Technology. This form of Spatial ALD technology is pretty cool and for those of you interested details on the technology can be found here. "Instead of pulsing and purging precursors from a static substrate in a single chamber, the substrate is transported by rotation to the various precursor and purge zones of the reactor, eliminating the time required for precursor introduction, saturation, and purge with each ALD cycle. 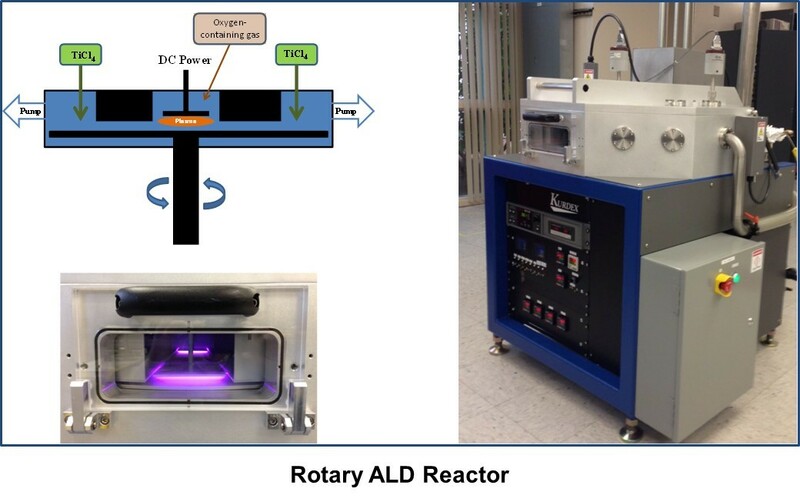 Further, Lotus’ patented Radical Enabled ALD process, incorporating Precursor “Separation” by Radical Deactivation technology, greatly simplifies zone separation in the reactor, and enables the use of a simple DC plasma for PEALD processing." Artistic depiction of prior understanding of p-ALD (left) and new understanding of p-ALD (right) gained by NRL’s work, as well as implications for proactive applications using particle atomic layer deposition, which as UV, are captured in solar cells and abrasion resistance paints. The original journal publication in JVSTA is given below as an abstract. Core–shell powders consisting of a tungsten particle core and thin alumina shell have been synthesized using atomic layer deposition in a rotary reactor. Standard atomic layer deposition of trimethylaluminum/water at 150 °C utilizing a microdosing technique was performed on four different batches of powder with different average particle sizes. The particle size of the powders studied ranges from ∼25 to 1500 nm. The high mass-thickness contrast between alumina and tungsten in transmission electron microscopy images demonstrates that the particle core/shell interface is abrupt. This allows for the uncomplicated measurement of alumina thickness and therefore the accurate determination of growth per cycle. In agreement with prior works, the highest growth per cycle of ∼2 Å/cycle occurred on the batch of powder with the smallest average particle size and the growth per cycle decreased with increasing average particle size of a powder batch. However, the growth per cycle of the alumina film on an individual particle in a batch is shown to be independent of the size of an individual particle, and therefore, a powder batch which consists of particles size spanning orders of magnitude has constant shell thickness on all particles. This uniformity of thickness on different particle sizes in a particular batch is determined to be due to the difficulty of removing residual water molecules from the powder during the purging cycle of the atomic layer deposition(ALD) process. Therefore, rotary ALD on a single batch of powder with wide particle size distribution provides the same shell thickness regardless of individual particle size, which may have positive implications for particle ALD applications where the shell thickness determines critical parameters, such as particle passivation and manipulation of optical properties. The Surface Preparation and Cleaning Conference (SPCC) is an annual event which brings together prominent researchers from the semiconductor industry and the university community to focus on developments and challenges in advanced wafer and mask cleaning and surface preparation technologies.